Hood River County Water Protection Measure Launched Today! Today the Local Water Alliance, a group of residents from Hood River County’s have made history — a citizen ballot measure has been filed for the people to decide on the proposed Nestlé bottling plant. Members of the Keep Nestle Out of the Gorge coalition including Food & Water Watch and Bark stand with the people of Cascade Locks and Hood River County as they determine their community’s future. Oxbow Springs, the public water Nestle wishes to bottle from Hood River County. Please join this historic campaign with a donation to the Local Water Alliance today. Environmental groups like Bark and Food & Water Watch have been appealing to our state agencies and governors for over seven years to stop this horrible public water grab for private profit. So far, we’ve successfully stopped the project from moving forward. A lot has changed in the community of Cascade Locks since Nestlé first came around in 2008 and residents of the Columbia Gorge have united to protect Hood River County water not just from Nestle but from any future water bottlers. We are deeply inspired by the local groups for taking this brave step to defend their community against a multinational corporation. Support their efforts by making a donation to ensure their success. Facing the worst drought in years, residents in Hood River County, Oregon have filed a ballot referendum that would legally prohibit commercial bottled water operations in their county. The measure, which appears to be the first such measure ever initiated in the United States, was filed by three chief petitioners including a local mom, community college instructor, and farmer. 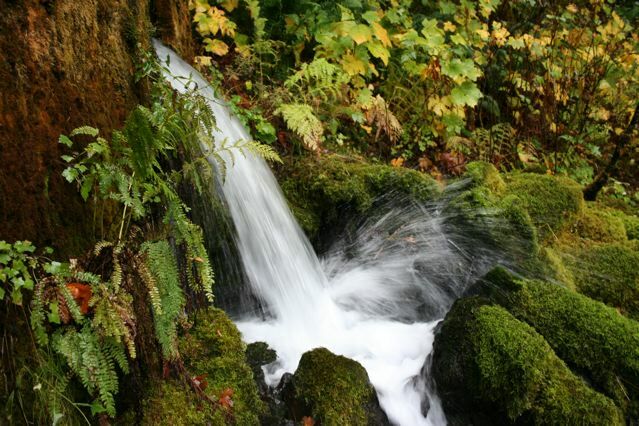 The effort is backed by the Local Water Alliance, a local Hood River County group that has been fighting Nestlé’s plans to build a new water bottling plant. We’ll keep you posted on this exciting development. You can also follow the Local Water Alliance on their Facebook page.